Over the course of a month, Counter-Strike: Global Offensive, has been hit with arguably the biggest scandal in the game’s history and one which threatens to change the complexion of the professional scene forever. Dozens of sites that allow Counter-Strike players to gamble with virtual in-game items have exploded in popularity in recent years. They sponsor some of the biggest streamers, players, and even some teams. The market has been largely unregulated because the sites largely exist in a legal gray area. In just a matter of weeks, a number of these sites have been exposed for what appear to be underhanded and dishonest business practices. Two class action lawsuits have been filed. In the wake of intense public scrutiny, Valve, Counter-Strike’s developer, and Twitch, the most popular game streaming platform, have both responded to try and curb what has been a huge part of the growth of Counter-Strike. With so many stories and a myriad of characters it can be hard to keep track of the story and how it started. So here’s a breakdown. What is skin betting and why is it controversial? In Counter-Strike, players can obtain purely cosmetic gun skins. These skins come in cases, which can either be bought for a few cents or through random drops in the game. The case can be opened for the low low price of $2.49 to reveal what skin you actually got, and some skins are much rarer than others. These skins can then be sold on Steam, Valve’s game marketplace, for Steam credit or sold on third party sites for real cash. 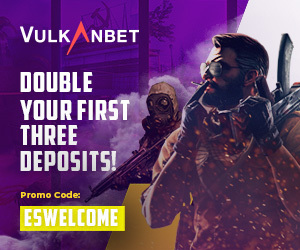 Skins can also be gambled with on a myriad of sites, from casino-style chance games to sportsbook sites that take action on just about every level of competitive Counter-Strike. Many argue that this gambling culture around matches has served to boost viewership, particularly at those lower levels. It’s controversial because these sites operate without regulation. They’re not considered gambling sites under most current laws. That means minors and players in countries like the U.S., where traditional online gambling is illegal, can use these sites freely. It has long been considered a grey area. Earlier this year, the U.K., became one of the first countries to take a firm stance that skin betting should be equivalent to traditional cash gambling, leading to the shutdown of U.K.-based sites like EZSkins. How did this scandal start? A popular streamer, M0E was sponsored by gambling site CSGO Diamonds and streamed himself on Twitch gambling on the site. After a falling out, m0E threatened to “expose” the site for failing to pay him money he felt he was owed. M0E also claimed that CSGODiamonds had, without him asking, told him outcomes of games in advance so he could fix the results and “create entertainment” on his stream. CSGO Diamonds swiftly responded, however, showing that M0E had indeed asked for results. M0E was also playing with skins provided to him by the site, or “house money”. This was never disclosed to viewers—and we now know this is common practice in the industry. Most streamers who broadcast themselves gambling were never winning or losing their own money, they were simply playing with chips that they were not able to cash out. The story really exploded when YouTuber HonortheCall revealed that Trevor “TmarTn” Martin and Thomas “ProSyndicate” Cassell had promoted gambling site CSGO Lotto to their combined audience of 10 million without disclosing that they were the owners of the site. TmarTn is also a co-owner of major esports franchise EnVyUs, who have leading teams in League of Legends, Call of Duty and Counter-Strike. The team attempted to both distance itself from TmarTn while also supporting him and vouching for his character. ProSyndicate managed to fade into the background, thanks in part to TmarTn’s PR implosion, as he issued a series of apologies and half-apologies in video and on Twitter, only to delete them. Another big name streamer, James “PhantomL0rd” Varga, was then dragged into the scandal. According to logs revealed by veteran journalist Richard Lewis, Phantoml0rd failed to disclose his ownership of the site CSGO Shuffle. He also appeared to ask for outcomes of rolls before they happened. The scandal has also ensared the owners of top esports team FaZe Clan, Nordan “Rain” Shat and Richard “Banks” Bengtson, who’ve been accused of having an undisclosed ownership stake in CSGO Wild. For TmarTn and ProSyndicate in particular, the attention their case created could cause them significant trouble going forward. The pair have been named in one of two class action lawsuits, along with CSGO Lotto itself and Counter-Strike developer Valve. The suit was filed by an anonymous Florida mother on behalf of her son, who is a minor. She alleges that her son has gambled and lost significant amounts of money on these sites. A second suit, filed by an apparent ‘ex-gambler,” targets Valve exclusively. 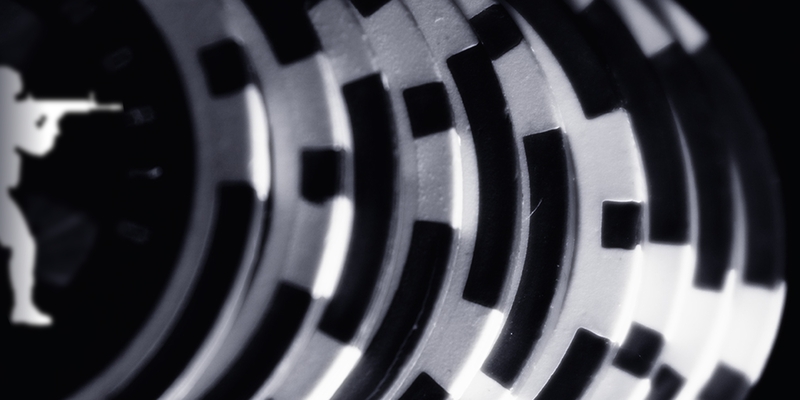 Both lawsuits make allegations about the legality and practices of these gambling sites, and accuse Valve of allowing this illegal gambling market to exist and grow rapidly. The second suit is being led by Jones Ward LLC, a firm that specializes in class action suits and is involved in action against FanDuel and Draft Kings. How have the companies reacted? After the two lawsuits were filed, Valve attempted to distance itself. It released a statement claiming that any site using Steam for commercial purposes was breaking its terms and conditions, and that it would take action to stop them. Last week Valve put its money where its mouth was, and sent out a cease and desist letter to 23 gambling sites. That included CSGO Wild, CSGO Diamonds and CSGO Lotto, but not CSGO Shuffle. Also included in the letter was CSGO Lounge, who take bets on competitive Counter-Strike rather than offering games of chance. So far CSGO Double, CSGO Casino, CSGO 2X, SocietyLogin, CSGO Battle, and CSGO Wild have either shut down or indicated that they will do so soon. After Valve’s initial statement, Twitch issued a clarification of its own rules: gambling on CS:GO skins isn’t permitted on stream, because it breaks Valve’s terms of service. It is impossible to ascertain what impact this has had sitewide, but Phantoml0rd’s Twitch channel was suspended in the days following the expose about his involvement with CSGO Shuffle. What does this mean for the future of Counter-Strike? The overall impact will not be apparent for a while to come, but some claim that it will affect Counter-Strike viewership across the board. CSGO Lounge has not yet given any indication of shutting down and is still operating as normal with the Steam log in. If the site were to be shut down, it may well affect viewership of particularly low-level or online Counter-Strike matches. As of this moment, if there are viewers who only watch competitive matches because they can bet on them those viewers will still be tuning in. Viewership numbers of streamers on Twitch does appear to have dropped anecdotally, but the game is still generally in the top five and tens of thousands of viewers. With all the attention these scandals have attracted, it seems probable that some kind of government regulation will be implemented—unless Valve succeeds in killing off the market entirely. For now, there are still plenty of places you can bet your skins. But that could change dramatically over the next few of months.